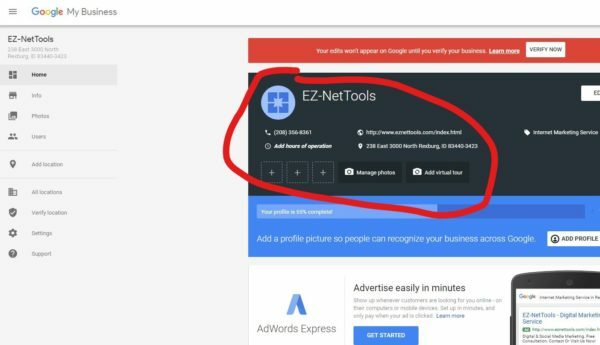 These Google business listings are becoming progressively more popular. 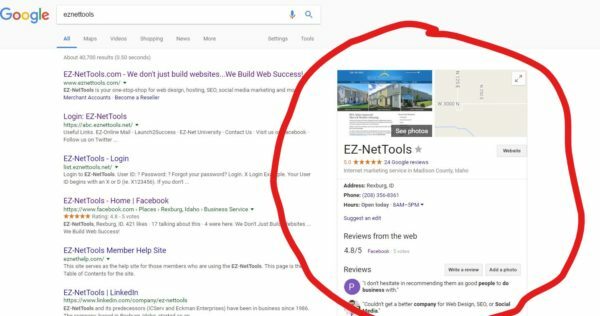 Many people, especially on mobile devices, use the business listing area instead of clicking on the actual links from the home page. What’s really nice is that the business listing always shows the reviews right underneath. Statistics have shown that people are more likely to make a decision to purchase based on a review than from an ad. 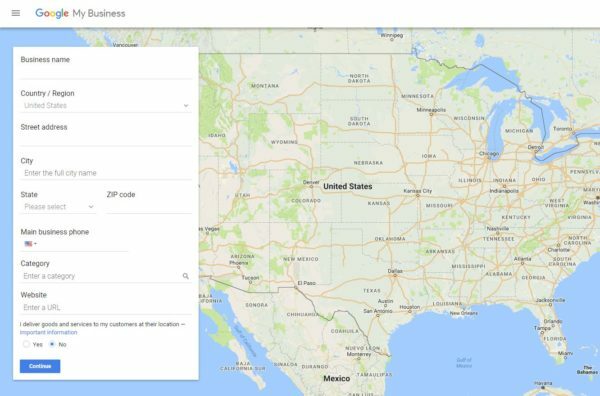 Another nice feature to the business listing is that it will show the address on google maps, which helps consumers to find you. After clicking start, it will take you to another page with a map. Then, it will ask you to fill out your business address. After you fill out your information and push “continue,” it will take you to a page that almost looks like Gmail. 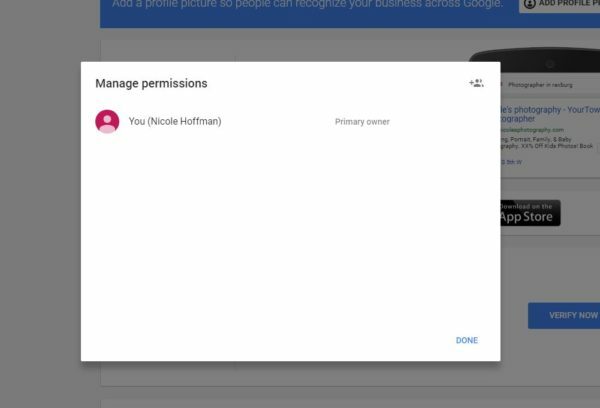 But, it’s a personalized Google My Business account for your business. It will first ask you to verify your business by accepting a letter with your confirmation code. If this prompt does not show up, click “Verify” on the left hand column. Once you get to this page, you can click on “Manage Photos” or “Add Virtual Tour” to upload photos or videos. You can also add in your hours of operation, your website, and your telephone. To change these settings, click “Edit” in the top right corner. You can also delete that location for whatever reason. 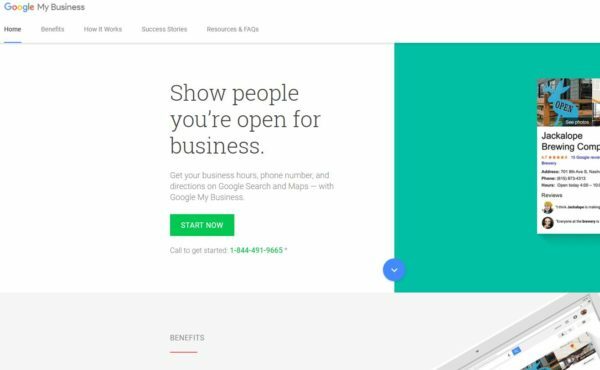 To add users to your Google My Business account so that others can add more information or pictures, click “Users” on the left column. A new box will show up. In the upper right hand corner of this box, you will see an icon with a plus sign and 2 users. To add a second location or a new location altogether, click “Add Location” on the left column of the page. Then go through the same process. If you need assistance, you can click the “Support” button on the same column. You can fill out a request, and they will contact you by phone or by email—whichever you choose.